Revelation 3:20 – Look! I am standing at the door and knocking. If anyone listens to my voice and opens the door, I will come in to him and eat with him, and he will eat with me. 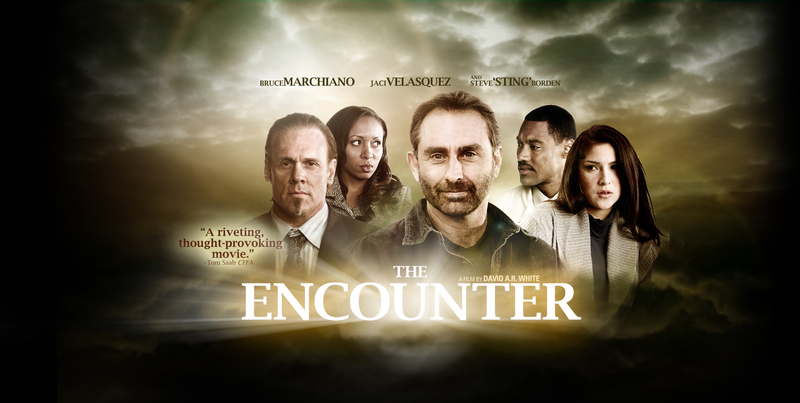 Last night I started to watch a Christian movie called “The Encounter”. For those who haven’t seen it, it is about 5 people who get caught in a storm. They come across a diner called “Last Chance”. My friend Shirley was telling me about how good this movie is and it was a very good movie. There was a couple things that got me thinking though. As a Christian if I knew for sure the person standing before me was Jesus Christ, I would faint, lol. This is how the story line goes. There is a teenage girl hitch hiking on a seemingly deserted dirt road. A few cars pass her including a young black couple. The wife refuses to let her husband stop and pick up the hitchhiker Then another gentleman almost runs over her and keeps on going. Finally a young lady picks her up just as the storm is about to hit. Eventually they come to a road block where an officer tells them that the road is washed away. I won’t go into details, but he was not a good person at all. The young lady that picked up the hitch hiker remembered seeing a diner a couple miles back and they all turn around and go into the diner as they wait the storm out. They enter the diner and the only person standing there is a guy by the name of Jesus. Eventually they find out that this guy is really Jesus. They order their meals and He knows exactly what they like and He talks to them as a friend. Even though there is one guy who thinks he doesn’t need Christ. I don’t want to go into to much detail. What stood in my mind though like I said at the beginning is that they all believed that they were talking to Jesus. He was offering them shelter in the midst of the storm and speaking to them about their life. What I loved about this movie is that they showed how loving and compassionate Jesus really is. He weeps with us and is heart broken when we choose to turn our backs on Him. He knew these people inside out. If I was the one in that diner, I don’t know if I could sit there so calmly. I would be awe struck and on my knees, lol. I did like how he talked to them as a friend and one on one. He listened and cared about them. He gave them a chance to accept Him as their savior and to truly repent. They were very calm and I don’t know if that is how anyone would be knowing they were talking to Jesus Christ, lol. At-least I wouldn’t be. This movie touched on real questions that everyone faces and the hard choices God makes so that we might ultimately be saved. There is also Encounter “Paradise Lost”. These are really good movies and it got me thinking that no matter where or what is going on Christ is there and He may be standing in front of me.